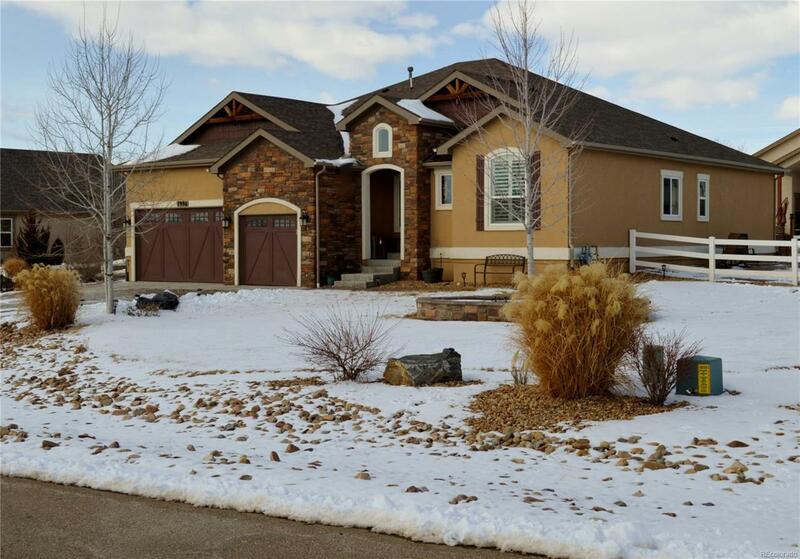 You must see the amazing upgraded features of this beautiful ranch home! Enjoy the wide open central living space, 4 awesome bedrooms on the main level, trowel drywall finish, custom lighting, plantation shutters, upgraded gas range, undermount kitchen sink, upgraded fridge, custom master closet with pocket door to laundry, new entry tile, custom stair gate, dual vanities in two additional full baths, amazing entertainment space in finished basement with kitchen-size bar area, two more bedrooms and a giant storage room. Custom window well covers with security latch in oversized egress windows, huge stamped concrete patio with amazing mountain views! Hot tub can stay or go, your choice! Check out the dogs' paradise heated space in garage, connected to turf covered dog run outside. Offered by Nordstrom Real Estate Llc.